An Atlantic City man was arrested after he allegedly tried to rob another and assaulted him with a rock. Officers responded to New York and Atlantic avenues at 6:12 p.m. Monday where the 53-year-old victim had been struck in the head several times with a rock, Sgt. Kevin Fair said. A description of the suspect was put out to responding officers. A concerned citizen notified officers that the suspect had changed his shirt, according to the report. With the new information, Officer Kevin Dever remembered seeing a man matching that description as he searched the area. Dever found 64-year-old Antonio Colon at New York and Arctic avenues, and arrested him without incident, Fair said. Colon had attempted to steal the victim’s money and, when he resisted, Colon struck him in the head with a large rock, according to the report. Colon was unable to get the money and fled. The victim was taken to AtlantiCare Regional Medical Center’s City Campus for treatment. 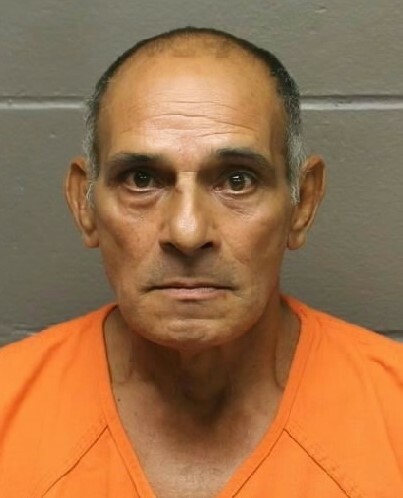 Colon is in the Atlantic County Justice Facility on charges of robbery, aggravated assault, possession of a weapon for an unlawful purpose and unlawful possession of a weapon. Anyone with information about this incident is asked to call Atlantic City police at 609-347-5766. Information may also be texted anonymously to tip411 (847411), beginning the text with ACPD.